This ‘saddle’ shaped pot is from the Ssu-wa or Siwa culture, Late Yangshao culture (1500-1000 BC). The term saddle shape mouth comes from the famous Andersson. This pot is made from a coarse red earthenware, hand build, not from a wheel. It is 20,5 cm high and 23 cm wide over the ears. The Siwa culture was located in the T’ao river valley in Kansu province. Johan Gunnar Andersson (1874–1960), was a Swedish archeologist, closely involved in the beginnings of Chinese archaeology in the 1920s. Siwa is situated in China’s bronze age. This example has a hole in the side, probably from a probe which is used to find antiquities underground. The clay is relatively high fired, and shows some silica. 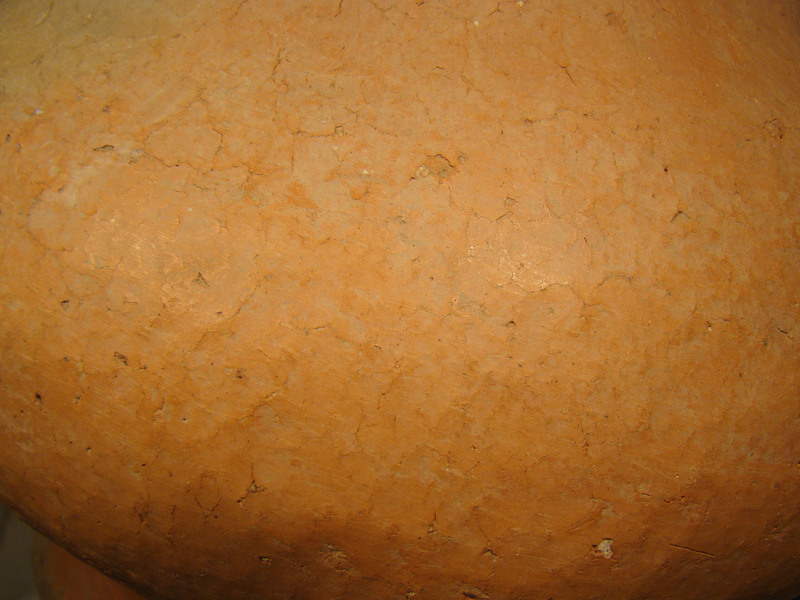 The body shows a sort of flaky surface. That is the outcome of polishing the clay in half dry state. Some of these pots were painted, these are very rare. 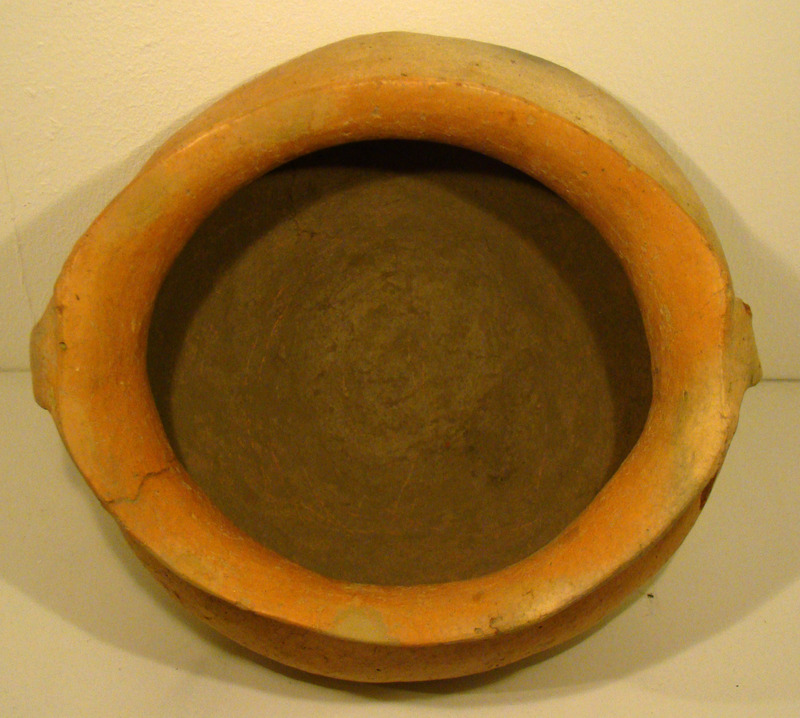 Shapes and sizes differ, there are also dark brown earthenware examples.